For those in Central Wisconsin who crave more of the Wisconsin Academy’s free public talks with leading Wisconsin thinkers and share knowledge, you have a valuable resource in the Winchester Academy. Neil Truman Eckstein, a Professor of English at the University of Wisconsin—Oshkosh, had always dreamed of creating an adult education center in the rural hamlet of Winchester (about twenty minutes northwest of Oshkosh). Inspired by the Scandinavian folk academies of the 19th century, which offered free educational courses for citizens to learn and develop the critical tools necessary for participatory democracy, Eckstein and UW–Oshkosh colleague Glenn Johnson, Pastor Vern Holtan of Prince of Peace Lutheran Church in Appleton, and Grafton-based attorney Richard Kranitz established the Winchester Academy in 1973. The purpose of the Winchester Academy was—and is today—to foster adult education by bringing together historians, poets, and other scholars to speak on a variety of topics outside the confines of traditional academic settings. During those early years of the Academy, program attendees came primarily from the Fox Valley. 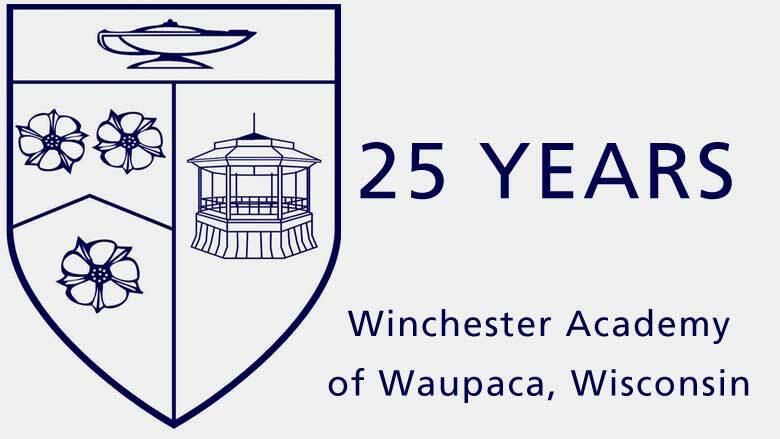 As attendance grew, the Winchester Academy in 1991 began offering programs in Waupaca and ultimately moved its headquarters there in 1993 (they kept the name, though). Today the Academy offers an annual schedule of twenty-five programs that range from presentations on myriad cultural and scholarly topics to musical performances and other special events. Ann Buerger Linden, Winchester Academy’s executive director, says that the Academy takes no political position and seeks to provide only balanced and reliable information to the hundreds of participants who attend on a regular basis. Her desire is that the Academy continue to “spark a deeper curiosity” in Waupaca-area citizens for another twenty-five years. During the last fifty years Waupaca’s population has grown from approximately 4,000 to nearly 6,000- Industries have grown and the educational system (including Fox Valley Technical College’s satellite campus) is among the best in the state. Winchester Academy is no small part of this progress, providing opportunities for everyone to expand their learning experiences—from Art to Zoology—and better understand our rapidly changing world.